On June 20th, China PR survived a tough examination from Cameroon with a lone early strike from Wang Shanshan, thus ending the Lionnes of Cameroon’s journey. Both teams played with high-tempo and intensity from the opening whistle in Edmonton with chances aplenty at either end, but it was the Chinese who remained resilient at the back to advance into the last-eight. 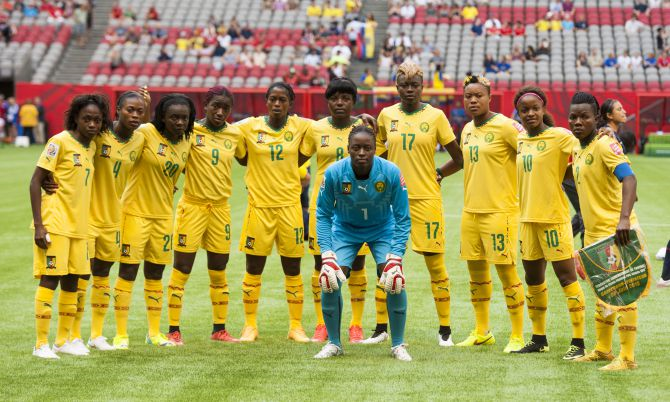 We are very proud of these Cameroonian sisters who showed that African women, and women in general, can play very good, entertaining, and amazing football/soccer, and should be equally cared for by their governments and people. My hat to Gaelle Enganamouit, Madeleine Ngono Mani, Christine Manie, Gabrielle Aboudi Onguene, and all the other sisters who made us proud. Indomitable Lioness Gaelle Enganamouit became the first African to score a hat-trick at the Women’s World Cup. 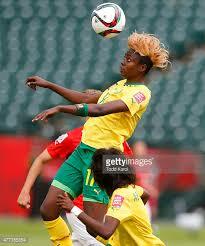 Below is a highlight from the game Cameroon – Switzerland, which was quite intense and beautiful to watch. Enjoy!